..............................Rupert Musgrove at Eden Grove Holloway 1932 to 1935. Shortly after John and Emily Ruff moved from Fulham to Eden Grove, they were joined by Emily's brother Rupert who lodged with them for three years. The Electors Lists below show the first entry for Rupert Musgrove in 1932 and his name deleted on the 1935 list. Also shown is John Victor Ruff who by 1935 was eligible to vote. Not shown is Madeline(Molly) who was not eligible to vote until 1938. 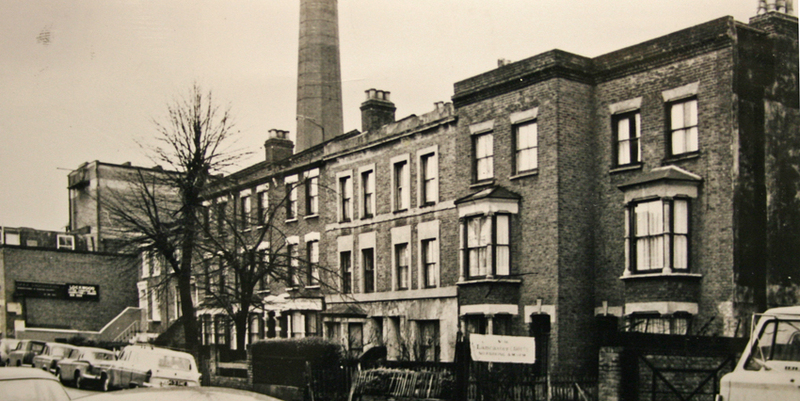 The photo above shows houses in Eden Grove in the 1960's all of which have been demolished and the area redeveloped.